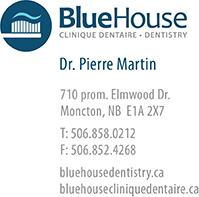 Full time (4 days/week) permanent position for dental assistant. Beginning May 2019. The office of Dr Joy Graham has an immediate opening for a permanent full time dental assistant. We have a busy thriving clinic and a great team atmosphere with the primary focus on excellent patient care and satisfaction. This position offered is 4 days/week 7:45 am - 4:00 pm. We are not open evenings or weekends! We will offer excellent salary and benefits to the successful applicant including a Health Benefit plan, paid vacation, paid sick days, uniform allowance, Paid CE courses. We have a fully digital office including chair side charting, digital Pan, Digital radiographs, Intra-oral camera system, and newly installed LED operatory Lights. We are also very excited about the current expansion to our facility. The expansion will be adding an additional 2000 sq feet to our current 3000 sq ft clinic (completion by March/April). Lots of exciting things happening! If you are a level 2 dental assistant that is a team player, patient oriented, organized with great interpersonal skills we want to talk with you.